Would you like to let go of old emotions? Spring Cleanse for your Mind and Body! You will be supported by Louise Knecht, natural nutritionist and raw food chef to learn tools and lifestyle choices to keep you youthful and healthy that you can incorporate into your life. You will be given nutritional support before, during and after the detox weekend to help support you gently through the process of detoxification. She will also offer reflexology treatments over the weekend on a first come first served basis as slots will be limited (at an additional cost). Jotipal Kaur will offer you the chance to detox through Kundalini yoga kriya’s and meditations as well as sound healing with the gong. She will also offer you lymphatic drainage (first come, first served- limited slots) over the course of the weekend. This is a gentle and deeply relaxing treatment to aid detoxification on all levels. 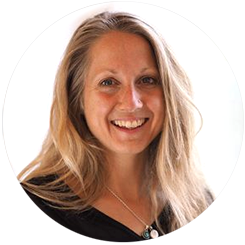 I also have the pleasure of introducing Alice Irving, life coach, NLP practitioner and parenting mentor. She is coming to offer her gifts in digging deep to help with shifting emotional toxicity. She will use dance and listening partnerships to facilitate shifts in your consciousness.